We offer two great brands of popcorn that offer Gluten Free, Whole Grain, and No High Fructose Corn Syrup. 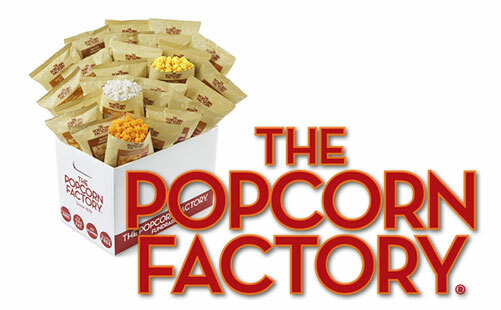 The Popcorn Factory offers three air popped flavors in our 18 count Savory Box: Pack-Butter, Cheese, and Sea Salt Slim. 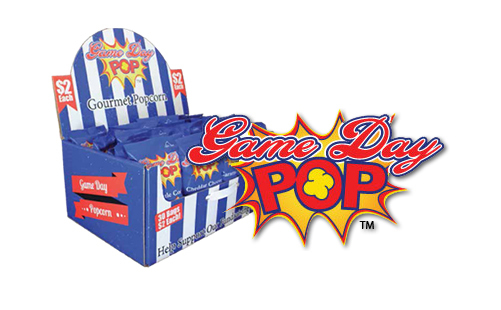 Game Day POP offers three classic flavors in our 30 count Gourmet Popcorn Carrier: 10 Kettle, 10 Caramel, and 10 Cheddar.